‘Have you noticed that no book ever gets well illustrated once it becomes a classic?’, asked in passing Aubrey Beardsley when faced with the challenge of illustrating Les Liaisons Dangereuses in the Art Nouveau era. Yet visually intriguing and conceptually intricate illustrations of eighteenth-century classics are abundantly present at key moments in the history of the book (Romanticism, the fin-de-siècle, the interwar period, amongst others). Defoe’s Robinson Crusoe, Swift’s Gulliver’s Travels, Voltaire’s Candide, Rousseau’s La Nouvelle Héloïse, Goethe’s Werther and Bernardin’s Paul et Virginie are just some examples of canonical texts that have inspired artists not only through time but also across national boundaries and different media. Such texts have produced visual corpora that are as vast as they are diverse. The timeless fascination with Paul et Virginie, for example, has resulted not only in illustrative series that steadily accompanied the text in its various incarnations as a book, but also in drawings, prints, sculptures, caricatures, tapestries, ceramics, clocks, etc., which circulated and were displayed independently of the text. Artistic transpositions and intermedial engagements with eighteenth-century bestsellers range from these visually static, yet geographically mobile forms of expression, to dynamic, performative adaptations such as films, operas and plays. In spite of the increasing availability of digital images, critical approaches still tend to privilege the authorially sanctioned series (such as Gravelot’s engravings for Rousseau’s bestselling novel, commissioned and designed with the writer’s direct involvement), or ‘intervisual paradigms’ (patterns of iconographic representation considered independently of their text of origin). Moreover, theatrical or cinematic adaptations of eighteenth-century novels are seldom considered in relation to other forms of visual crossover, such as book illustration and decorative objects, though they all a priori rely on similar processes of visualising and adapting the text. The comparative analysis of different series of illustrations and of other forms of artistic representation of the same novel through time and space, however, allows us to explore the complexity of adaptation, to understand the visual representation inspired by text as an intermedial product and cultural phenomenon, and perhaps to grasp the fascination that the eighteenth century continues to exert upon us. • How does the illustration of an eighteenth-century novel through time respond to new techniques and to changing views of the function of illustration itself? • How do successive generations of artists shape the reception of an eighteenth-century novel at different moments in time? • How do illustrated translations of eighteenth-century classics reflect the geographical, linguistic and cultural displacement of the original text? • How does the gradual shift from the poorly paid artisan to the internationally known artist affect the illustration of an eighteenth-century classic? • How do publishers operating from lucrative centres of book production (Amsterdam, Brussels, The Hague, London, Paris, etc.) respond to the specific expectations of their subscribers or readerships in regard to illustration? • How do artists, publishers and/or stage directors facilitate or negotiate verbal/visual crossover? What is their respective involvement in this process? • How do individual artists re-view an eighteenth-century text when they illustrate it again for a different publisher or edition? • How does the phenomenon of extra-illustration exemplify a unique rapport of visual closeness between the collector and text? How is the reading process impacted by the insertion within a single volume of parallel illustrations of the same scenes, which were executed at different moments in time? • How do objects inspired by eighteenth-century novels become cultural artefacts and exist independently of the text? How are they integrated in home décor, private collections or museum space? And what impact do they have as things commissioned, inherited, or collected? • How is visual representation transposed from one medium to another (for example, from book illustration to film adaptation)? What are the similarities and differences in the ways in which the text is visually adapted for each medium of expression? Please send an abstract of 500 words to a.lewis@bbk.ac.uk and cionescu@mta.ca by 1 August 2014. The deadline for submission of completed articles will be June 2015 (approximately 8000 words). Articles may be in French or English. As is usual for peer-reviewed journals, all final decisions concerning the acceptance of articles for this special issue will be made by the JECS editorial board. 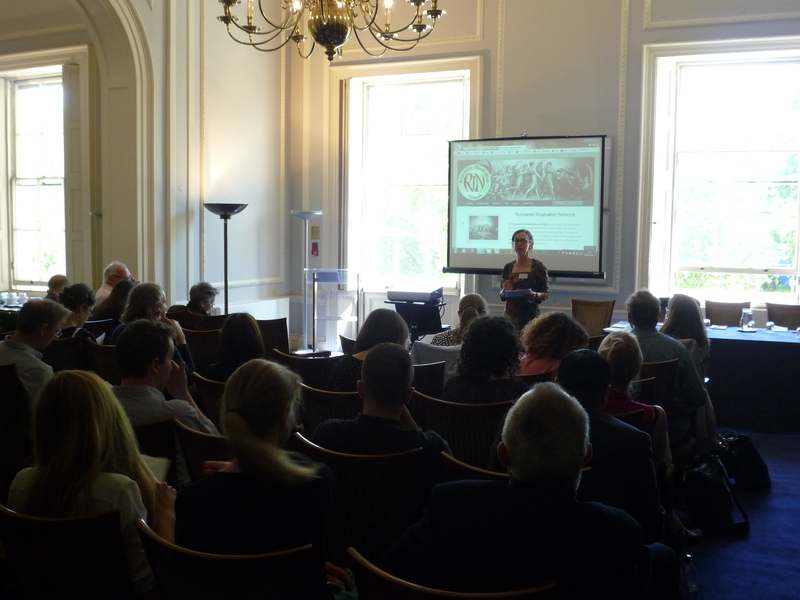 We also intend to host a workshop around the collection at the BSECS annual conference in January 2016. The 5th International Illustration Research event joins forces with the peer reviewed Journal of Illustration and is hosted by Srishti School of Art, Design and Technology in Bangalore. The symposium this year will focus on the praxis of illustration in an expanded field, including histories of local/regional illustrative practices and the traversing of diverse media platforms. Through talks, workshops, performances and exhibited works, we will consider the illustrator in terms of the ‘habitual travelling’ that he or she undertakes. The itinerant nature of the illustrator is evident in the praxis of illustration itself- the oscillation of thought between word and image, page and screen, hand and eye, dream and reality. Occupying many roles and moving dynamically between them, the itinerant illustrator is an interpreter, a translator, an illuminator, as well as a storyteller, enquirer, performer and a pictorial juggler of ideas. The nomadic nature of the illustrator is to wander between disciplines, search for new contexts and to make images not on one, but several different platforms within an eternal evolution of technologies. The multi-sited nature of illustration, along with illustrators’ journeys between several positions and places, also involves images that travel. We would like to investigate the fluidity of visual codes and languages, the translations, adaptations and hybrid practices that respond to the movement of cultures within the global village. How are images made and read within shifting regional and trans national contexts? How can we use illustration itself as a methodology to shed light on the praxis of illustration in these multiple contexts? Please email abstracts along with your name, affiliation and email address to: Sandeep Chandra Ashwath (sandeep@srishti.ac.in), DesdemonaMcCannon (d.mccannon@mmu.ac.uk), and Anna Bhushan (abhushan@cardiffmet.ac.uk). Selected papers and presentations will be considered for publication in forthcoming issues of the peer reviewed Journal of Illustration, published by Intellect books. Click here for the Spring 2014 issue, and contact Sarah Jones (sjones3@UR.Rochester.edu) for further information. The inaugural meeting of the ‘Illustration: So What? !’ Reading Group took place on May 19th 2014 at the University of Roehampton, introduced by Mary L. Shannon and Susan Matthews. We convened for a varied and lively discussion, reflecting the nature of our chosen subject as well as the fields of scholarship represented at the table. 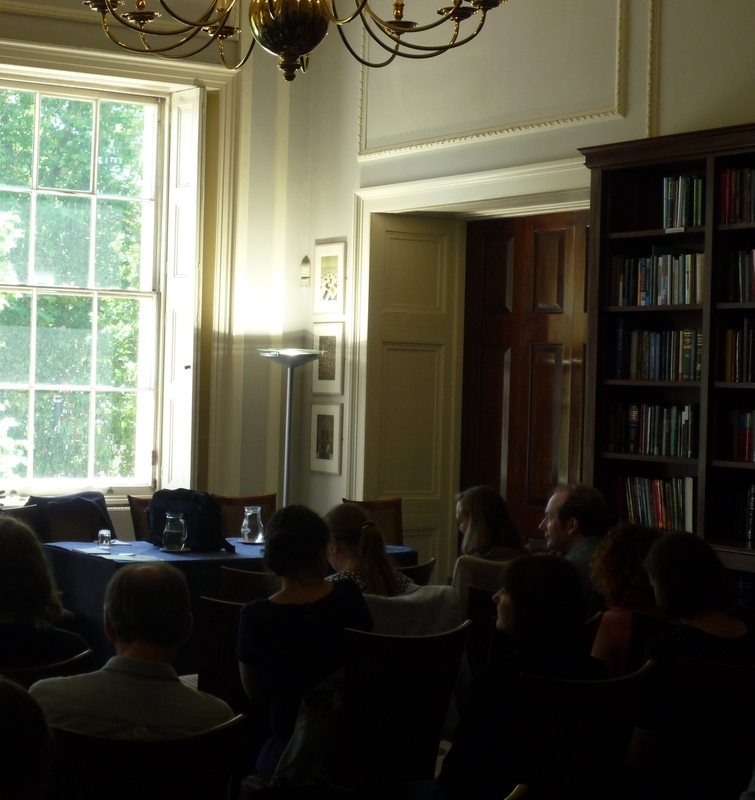 Susan Matthews opened the session with her observations regarding the etymology of ‘illustration’. The careful consideration given to the development of our contemporary usage of the word, in contract with its earlier meanings, emphasised just how much has the publishing industry and book design and decoration have evolved, even in recent times. This point is perhaps particularly poignant for the illustration scholar with a background as an illustrator, such as myself. As students – and scholars – it is often considered that illustration has existed since the earliest days of human creativity, and is at the heart of creative and intellectual development. The implication that in name at least this is not the case is quite profound; the acknowledgement that a timeless occupation is actually only 198 years-old (according to the OED definition) is a novel perspective. The idea that the Romantic illustrators were working in a newly named field, perhaps makes them more radical than was previously thought. The core text, J Hillis Miller’s Illustration (1992), provided a number of interesting points for discussion. It was observed and agreed that Miller used ‘illustration’ with a multiplicity of meanings – with a particular penchant for added connotations of ‘light’. This, of course, married perfectly with discussion of pre-1816 definitions of ‘illustration’ as well as with the glowing glass books of Olafur Eliasson in his 2013 artwork A View Becomes a Window. Examination of Miller was as stimulating and varied as the contents of his book, with the group drawing parallels between all texts discussed as well as to fields as diverse as theatre and architecture. The first meeting of the ‘Illustration: So What? !’ Reading Group did, as promised, throw new light on the idea of illustration. With future meetings planning to discuss texts just as varied as those considered here, and likely to be approached with the same enthusiasm and varied perspectives, I have no doubt that further light will be shed on this very rich area of study.